Been There – Washington, D.C. I really wonder if BTs of the same color will look similar if stacked in the cabinet or shelf. 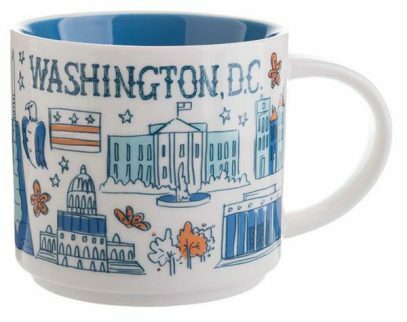 I feel like Starbucks was trying to save on paint… As you can see, Starbucks Been There Washington DC mug is somewhat a sibling of Virginia BT added today as well. So the difference is in the details, I guess.